Episode 1: Ash Wednesday, March 5 – REDEMPTION OF THE PROSECUTOR (Short Documentary) / A Tennessee prosecutor struggles to reconcile his work with his faith after he befriends a prisoner he put behind bars. Episode 2: Wednesday, March 12 – CHAMPIONS OF FAITH: BASEBALL EDITION (Feature-length Documentary) / Major Leaguer Mike Sweeney lets down his guard, and his faith, on the field. Episode 3: Wednesday, March 19 – THE WAY (Feature Film) / Martin Sheen stars as a reluctant pilgrim on the Camino de Santiago de Compostela in a film made by his son, Emilio Estevez. Episode 4: Wednesday, March 26 – DESERT WEDDING (Short Indie Film) / A bridezilla’s big day turns out far different than she had so meticulously planned. Episode 5: Wednesday, April 2 – I AM (Feature-length Documentary) / Director Tom Shadyac documents his experience following a serious head injury and how it changed his life. Episode 6: Wednesday, April 9 – JOAN OF ARCADIA (CBS Television Series) / A clip from the first season finds Joan trying to understand why God is asking her to join, of all things, her high school chess club. Episode 7: Wednesday, April 16, 2014 – SMALL CHANGE (Short Indie Film) / A small but loving gesture from one young sibling to another gives hope to a family in crisis. 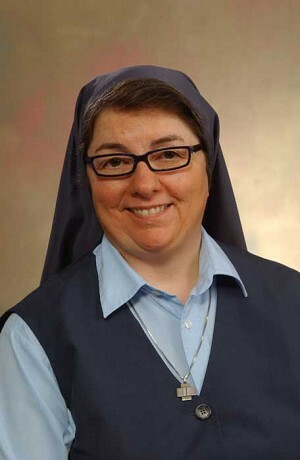 To watch the Lenten Film Series on The INNdustry with Sr. Rose or to get more information, please visit http://getinn.tv/lent-2014 or search for “IN Network” on the iTunes store. The Chicago-Detroit Jesuits, along with the IN Network, an online platform supported by creative media company Loyola Productions, is launching a Lenten film series via the original show The INNdustry with Sister Rose. Hosted by Daughter of St. Paul Sister Rose Pacatte, the seasonal series features film and TV clips that many will know from mainstream programming to highlight Lenten themes and foster reflection and conversation. Each of the seven episodes includes interviews with the media makers, including writer Barbara Hall ("Homeland," "Judging Amy," "Joan of Arcadia"), director Tom Shadyac ("Bruce Almighty," "Liar Liar," "Ace Ventura: Pet Detective," "I Am"), actor Martin Sheen ("The West Wing," "Apocalypse Now," "The Way") and actor/director Emilio Estevez ("Bobby," "The Way").